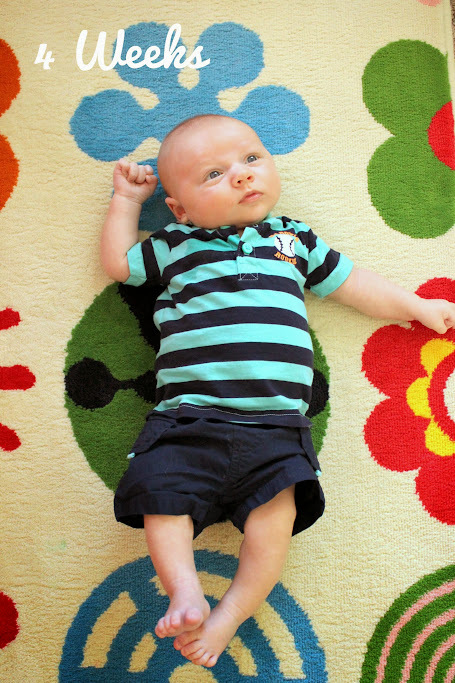 Buddy Boy is already 4 weeks old…. how?!?! he was just born yesterday right? I forgot how incredibly fast the first few weeks just fly by so I am trying to soak up every minute. Hudson has been much more alert this past week. For the past couple of days I have been sitting him up a little bit so he can look around and he seems to enjoy that 🙂 He is changing so fast!